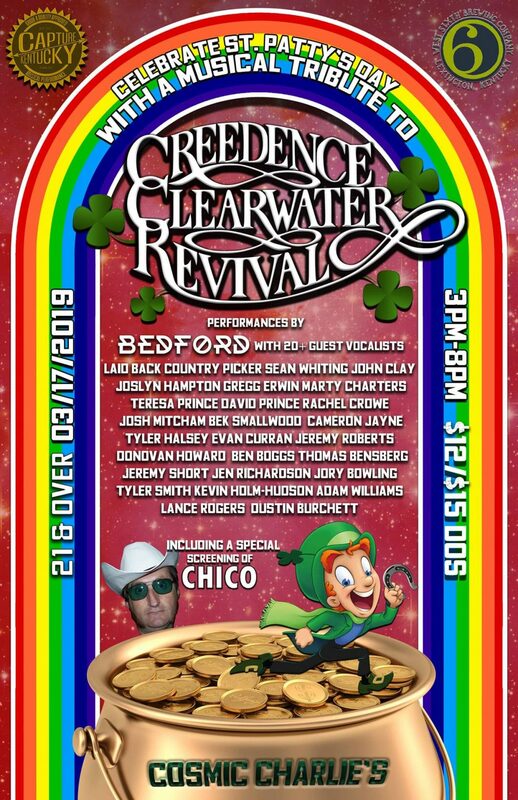 Join us on Sunday, March 17th as we celebrate the music of Creedence Clearwater Revival on St. Patty’s Day at the brand new Cosmic Charlie’s! From 3pm-8pm some of the best vocalists in our Commonwealth will be performing the songs of Creedence Clearwater Revival. The young guns in Bedford will be holding it down while 25+ artists give their all for a GREAT cause! If you follow a vehicle with Delaware tags into Estill County, you know you’re in for a great time. Why? Because the tiny Appalachian town of Irvine is the heart and soul of our currently burgeoning musical community. Sure larger cities host larger crowds and more famous bands, but Irvine is special and the folks from Delaware punctuate my point perfectly. Those folks drove to Irvine for one thing and one thing only, the music. I’ve said it a hundred times by now, but Kentucky is leading the charge in producing raw, genuine down-home, humble artists that forge bonds like the Grateful Dead did in San Francisco before taking on the world. When you look for the spark that changed music as we know it in a few years, find a map and find Irvine. It’s tiny. It’s inspiring and it’s the incubator of future greatness. Here at Capture Kentucky, I’ve set a few rules that are unconventional, but I truly hope to see others follow. One of the biggest ideas, is that every single show we put together will always feature at least one female artist. Like it or not, female artists do not get nearly the same amount of opportunities as the fellas do. I hope to help change that. 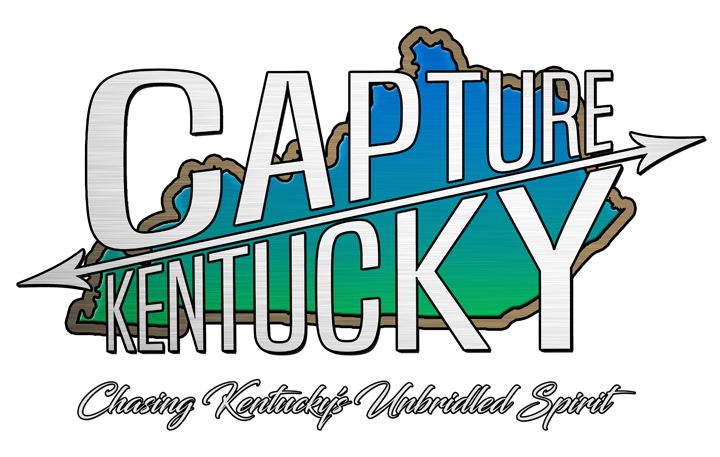 Here at Capture Kentucky, we do our best to shine a light on Kentucky’s greatest asset, her people. That’s the reason we decided to create the Cinder & Smoke Fest. We wanted to create an opportunity to bring people together while allowing folks that are way more talented than us, to have a stage and a crowd. Mother Nature was unkind to us in July, but thankfully we were able to regroup and focus on a new date. 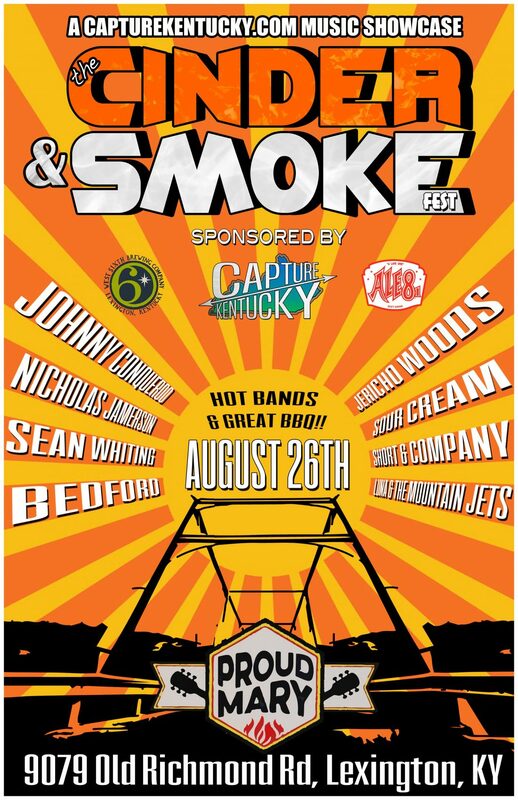 On Sunday, August 26th, Proud Mary BBQ in Lexington, KY will host our inaugural Cinder & Smoke Fest. We are bringing in some of our favorite Kentucky bands and artists from all across our Commonwealth. 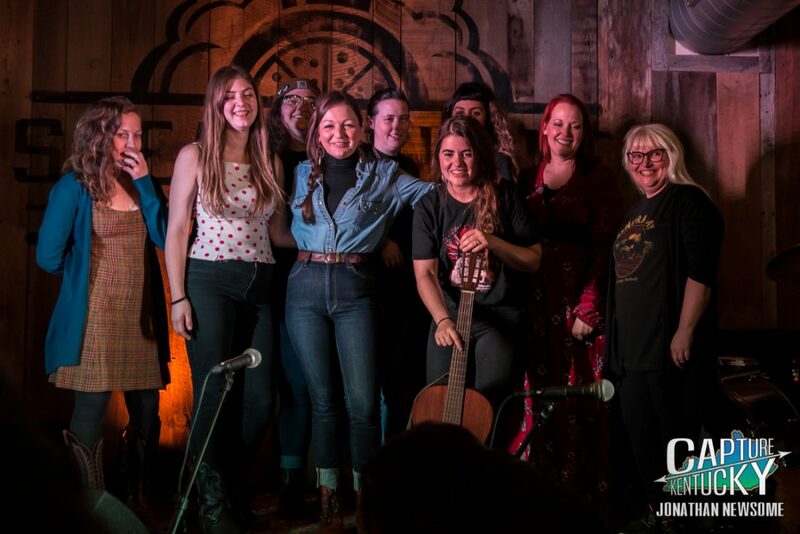 So we thought we’d put together a little article to introduce you to this years lineup, which is sponsored in part by West Sixth Brewing and Ale-8-One. One quick note: chairs are welcome at Proud Mary BBQ, but no coolers please. This is a free show to you, but the artists are being paid fairly. So please support Proud Mary while you’re there! This show would not be possible without them! 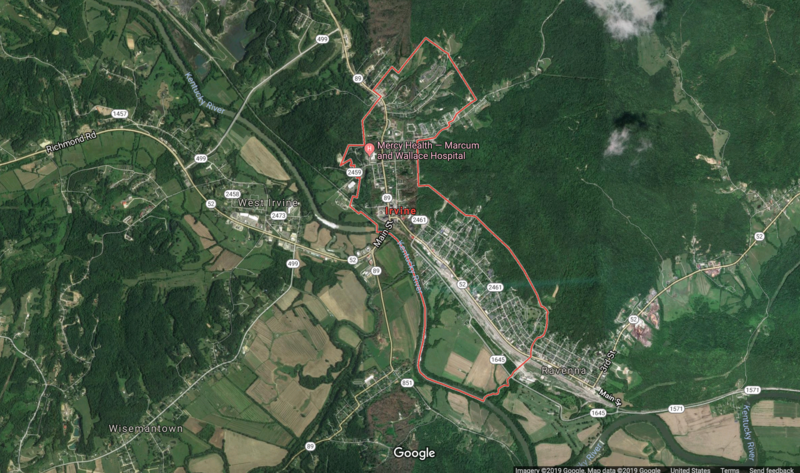 Somerset, Kentucky is a small city that many others could learn from. They have found their niche and are thriving. You could take a trip to Lake Cumberland to relax. You could enjoy one of many Somernites Cruises. Maybe you would prefer to enjoy the SomerSplash waterpark. For my money, you need to make the trip to Somerset on July 13th and 14th. 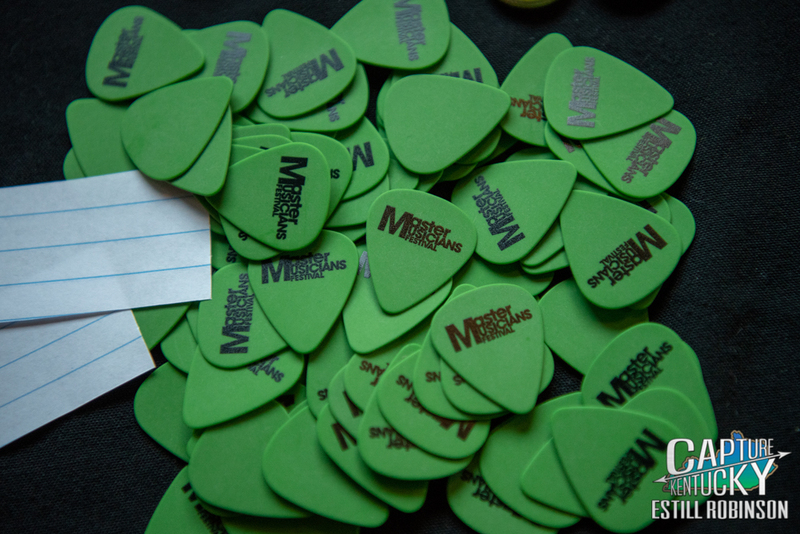 That’s when the 25th edition of the Master Musicians Festival takes place.